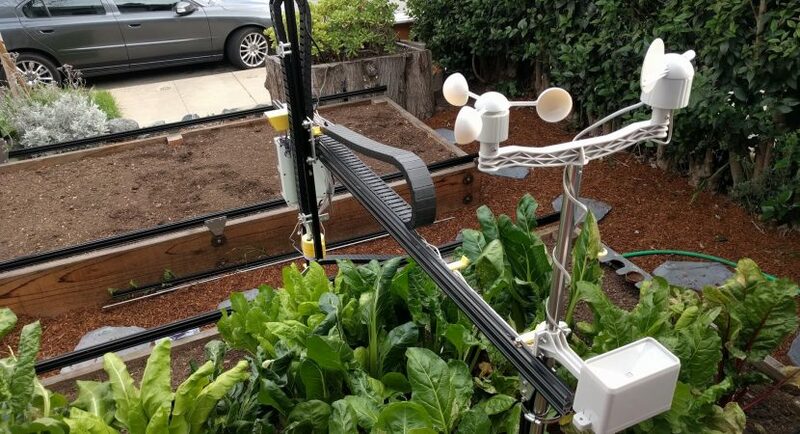 Gardening typically has very little to do with technology. While we may use state-of-the-art tools and methods that have been developed over time, it’s still something we do with our hands, on our knees in the dirt. Indeed, for many of us, that’s the whole point! Being able to tend your home garden is a way of connecting with nature and stepping away from various aspects of modern life that typically surround us. That said, when it comes to the planning stage of gardening, technology could begin to prove quite useful, specifically through mixed reality. To give a brief introduction and overview, since this isn’t ordinarily a tech-oriented platform, mixed reality refers to virtual and augmented reality, which are different ways of visualizing animated elements in realistic, 3D space. Back in 2016 it was written by more than a few outlets that the mixed reality revolution would change our lives, and though it’s been slow to do so – and still hasn’t really done so yet – it’s on the right track. VR and AR are becoming more prevalent in multiple walks of life, and it’s easy to imagine that soon we’ll all be interacting with the technologies in one way or another. For most people the best way to explain or demonstrate mixed reality is through gaming, where it’s already quite prevalent. Many of the preeminent console video games have already made the leap from the high-end graphics of PS4 and Xbox One to full-fledged virtual reality. Design systems from Apple and Google enabled augmented reality apps to start flooding into the mobile games market. And in internet gaming, where casino games have transitioned to mobile in the last few years and embraced HTML5 technology for smoother performance and better graphics, we’re also starting to see some early examples of VR. In summary, most anywhere you look in gaming you can find some form of mixed reality, with gaming elements being brought to life in life-sized, 3D quality. Outside of gaming, examples are still common, but a little more unpredictable. For example, on the backs of the aforementioned Apple and Google AR design platforms we started to see a boom in home furnishing apps. These apps can help you to use your phone or tablet, or even a pair of AR-equipped goggles, to see potential furniture purchases in your home. Just load up the program, look through the device you’re using, and there’s your living room as it would look with the couch in your digital shopping cart all set up. And this, as you may begin to see, reveals how mixed reality, and AR in particular can change the nature of planning a garden. Already in fact, AR-based gardening apps are on the rise, and just as a similar app can help you to visualize a new couch in your living room, these programs can help you to picture a fully completed garden even in a space you haven’t planted or prepped yet. While not all apps are the same, the general idea is that you can choose plants and landscaping arrangements and set them up in AR, almost like you’re playing a game, but with your real world yard as the setting. The result can be absolutely wonderful. It’s a full visual blueprint of the garden as you’d like to see it emerge over time. The real beauty of all this is that it doesn’t sacrifice any of the aforementioned benefits of gardening. You still get to get on your hands and knees and work the land, feel that link with nature, and get a breath of fresh air. You just get to do it with a better idea in mind for what you’re ultimately aiming for.